Am Shalom is so proud of its youth and learning team. 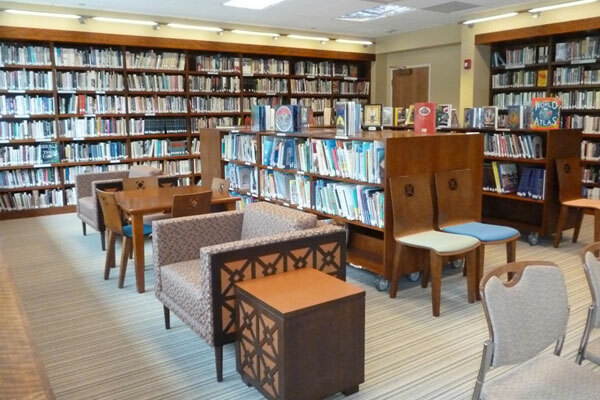 Check out our library come sit, read and relax. At Am Shalom, we believe that learning is a life-long endeavor, and we strive to offer opportunities for learners of all ages, abilities, and interests. We seek to learn that which moves our hearts. Judaism is filled with teachings and traditions, all of which help to inspire and enrich our lives. Learning opens doors to community, and invites you to be a part of a shared community of others who seek the same understanding, wisdom, and inspiration. Learning is for those of all ages. Our learning programs are for children and adults of all ages and abilities, so that we may all find our own paths to greater understanding of Judaism's great truths. There are so many on-going programs and learning opportunities at Am Shalom. We hope that you'll find your own place in our education programs! We look forward to helping you on your own learning journey. Don't hesitate to contact Rabbi Phyllis Sommer, our Director of Congregational Learning, for guidance along the way. All third grade families are invited to join us for family day! Parents of students in Hillary's Hebrew class are invited to participate as their children lead our Hebrew School Tefillah service. Our Bet students will perform a concert of the songs they've learned this year as we celebrate the year of Hebrew learning on this final day of Hebrew School!